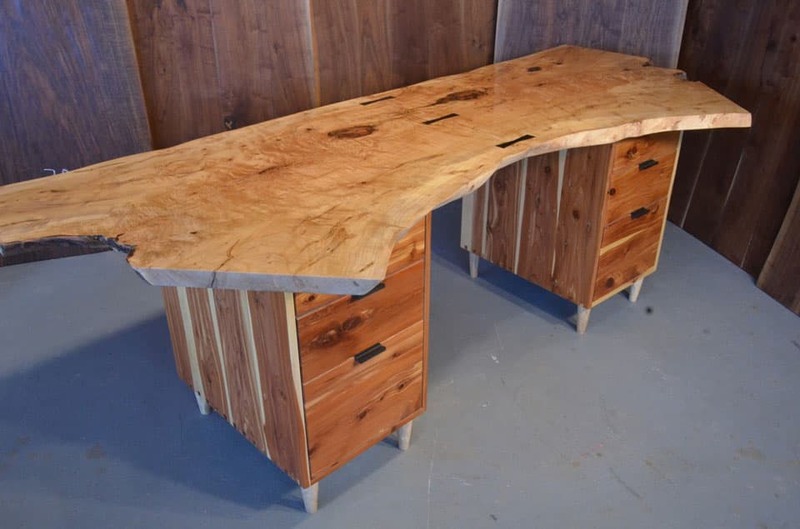 We build amazing and spectacular custom desks for those that are truly looking for a one of a kind piece of functional art for their office. Curly Maple slab desk with ebony butterflies and cedar pedestal base with ebony pulls. 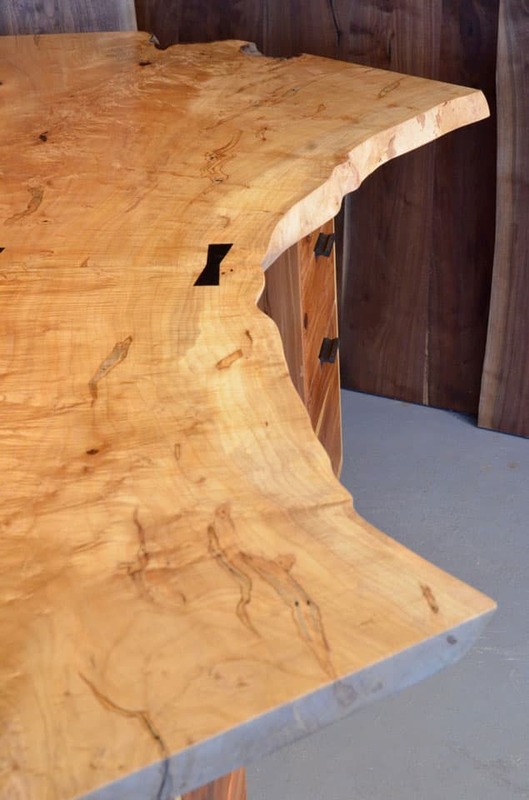 The grain in this maple is simply amazing. The drawer fronts are cherry with ebony pulls. 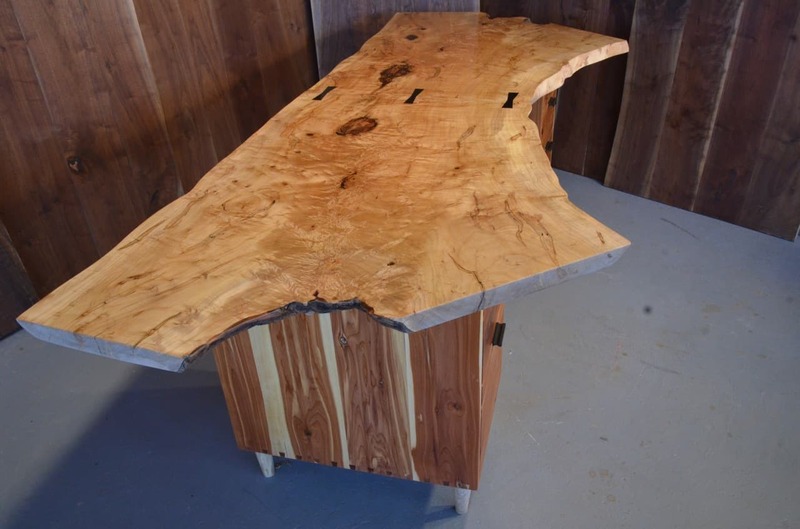 Maple slab custom executive desk with cherry pedestal base.